Visiting a Passport Acceptance Agent is a key step in getting a new passport. You’ll need to go to a Passport Acceptance Agent if you are applying for your first passport, or if you need a new passport because yours was lost, damaged, or stolen. Does your child need a passport? You will both need to go to a Passport Acceptance Facility any time your child under age 16 needs to get a passport. What Does a Passport Acceptance Agent Do? Passports are incredibly important documents. It certifies both your identity and your US citizenship. That means that when the US government issues you a passport, they need to be very certain that you are who you say you are! If you already have a valid passport – meaning one that was issued after you turned 16, is unexpired or less than five years expired, and is in good condition – it’s easy. All you have to do is turn in your current passport when you apply for a passport renewal. Your passport itself certifies your identity and citizenship. But what if you’ve never had a passport? Or if your passport was lost or stolen? That’s when you need the help of a Passport Acceptance Agent. Passport Acceptance Agents are always government employees of some kind, located in a public facility like a post office, courthouse, or library. They are trained and authorized by the State Department to check your passport application and supporting documents. They will make sure you have appropriate identification and proof of citizenship. They will then seal your application into a special envelope that can only be opened by Passport Agency personnel. The agent can either mail the envelope in for you, or give it to you so you can send it to a passport expediting company. 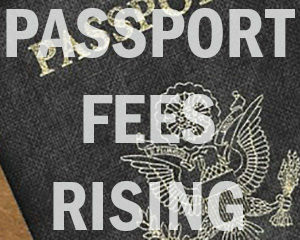 Why Are Passport Fees Rising? About two years ago, the US Department of State conducted a study to figure out how much it costs them to provide Passport Acceptance Agent service. They considered expenses like staffing, postage, and physical supplies like paper and envelopes. They realized that the $25 fee that they had been charging each traveler was not enough! In November 2016, they officially proposed to increase the passport acceptance agent fee to $35. This increase to passport fees will go into effect on April 2, 2018. This is the first time that passport acceptance fees have been changed since 2008. Interestingly, in 2008, the fees were actually lowered from $30 to $25! Are Other Passport Fees Going to Increase? At this time, the US Department of State hasn’t announced any plans to increase any other passport fees. The fees for passport renewals and second valid passports will remain exactly the same. The check you write to the State Department for your new passport book or passport card isn’t increasing, either. The only one of the passport fees that will go up is the Passport Acceptance Agent fee. 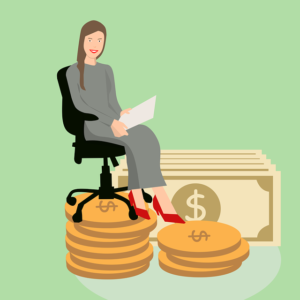 Do I Need to Pay the Passport Acceptance Agent Fee? If you are applying for a passport renewal, a passport name change, a second valid passport, or a passport card when you already have a passport book, this fee increase won’t impact you. But if you are one of the 11 million-plus people who will apply in person for a passport this year, you will need to pay the increased fee after April 2, 2018. This will impact you if any of the following scenarios apply to you! Your last passport was issued before you turned 16. Your most recent passport expired more than five years ago. Your most recent passport was stolen or lost. Your last passport has been badly damaged. You need to get a passport for your child under age 16, either as a first time passport or to replace an expiring passport. Any questions about passport fees? Ask us below!